The en·CORE 300 is the flagship condenser performance microphone in the en·CORE series with its roots in Blue's legendary tuned condenser studio microphones. 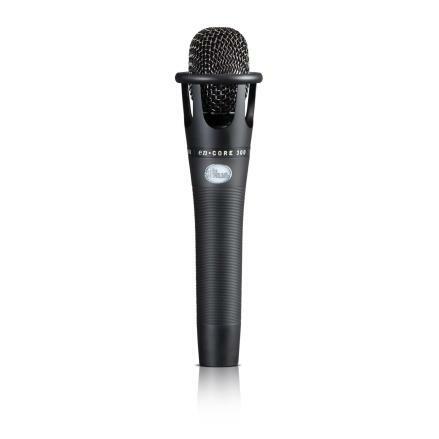 The en·CORE 300's Condenser Capsule is hand-selected and tuned for an open, detailed and present sound that is as well-suited to the stage as it is the studio. 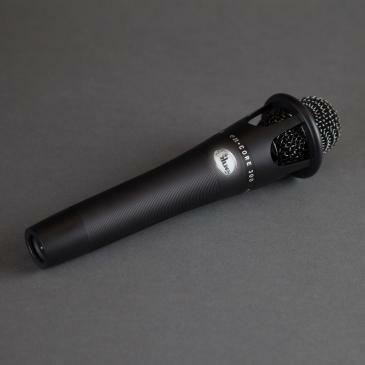 Blue's engineers matched the capsule to a custom-designed phantom power circuit, which together provide a rapid and powerful sound that is an ideal match for powerful vocals. The en·CORE 300's unique reinforced chassis design mounts the capsule for optimal performance and isolation from handling noise, while providing vault-like protection for the capsule to ensure years of breathtaking performances. ...the windscreen is designed so that, no matter how you hold it, it's nearly impossible to 'cup the mic' to the point of severe frequency response degradation. Believe me, I tried... For that reason, engineers will be happy to let those performers that grip mics in that manner do their thing, as they can still provide the audience with a surprisingly full, crisp vocal.